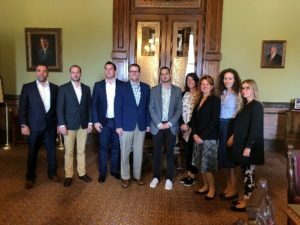 In September, ACYPL welcomed a delegation consisting of three delegates from Croatia and five delegates from Hungary. Three of the delegates were elected officials, four of the delegates were women and the group as a whole was regionally and politically diverse. 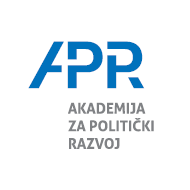 ACYPL collaborated with CEC Government Relations in Hungary and Academy for Political Development in Croatia on this exchange. The program began in Washington, DC and explored a variety of different policy issues that were of interest to the delegation. They had an opportunity to discuss immigration with officials from the AFL-CIO and environmental protection and advocacy with representatives of the Sierra Club. Later, they engaged in a lively conversation about campaign finance with Matt Sanderson, an ACYPL trustee and General Counsel for Senator Rand Paul’s 2016 presidential campaign. In Iowa, the delegation was exposed to the executive, judicial, and legislative branches of government within the state. They also received a very extensive overview of municipal government structures and the issues that impact constituents across the state. In Des Moines, they were briefed by the Lieutenant Governor, the State Public Defender, and the Senior Legal Counsel and Special Advisor to Iowa Governor Kim Reynolds (Taiwan 1995) who provided the delegation with an overview of Iowa’s political landscape and the Iowa Republican Party’s priorities as the midterm elections approach. The delegation also took a tour of the Supreme Court and sat in on oral arguments. The delegation visited the Iowa State Capitol and took an exclusive tour of the capitol dome. Later, the delegation had an informative meeting regarding governmental transparency from the Executive Director of the Iowa Public Information Board. Later that day, they were greeted by Deputy Secretary of State Michael Ross and discussed election procedures and youth engagement and participation. Other highlights included lunch with the City Manager and the Mayor of Des Moines as well as a visit to Drake University to talk to students at the Harkin Institute for Public Policy and Citizen Engagement. The delegation was also able to engage in several culture events. At the beginning of the exchange, the delegates attended a church service at Alfred Street Baptist Church, a historical African American Church in Alexandria, Virginia. They also shopped at a local farmers market, toured the DC monuments and went to the World Food and Music Festival that featured foods from over 25 countries. Lastly, the delegates attended their first football game where they cheered on the Drake University bulldogs.